Where does one find Plat 99? Somewhere between the Mile Square and the Guggenheim. Somewhere between ice cubes and cubism. Somewhere between Harvey Wallbanger and Andy Warhol. Somewhere right here in CityWay. 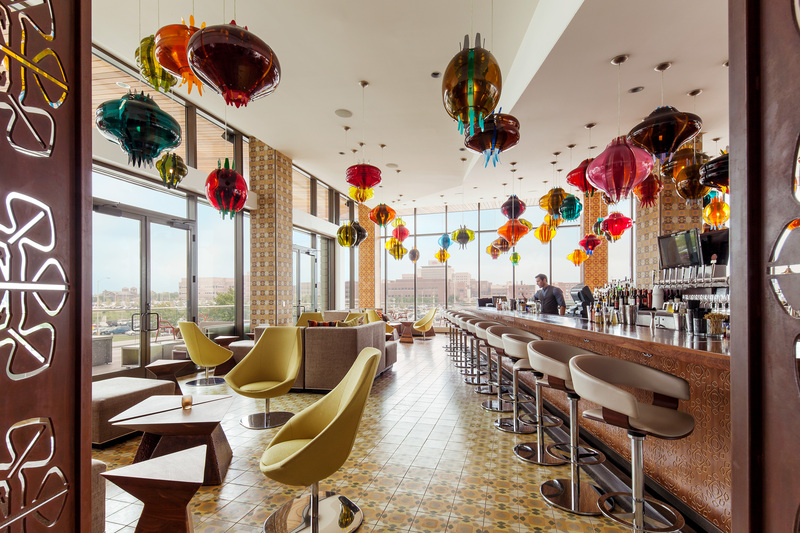 It’s where you’ll find cocktails, artisan beverages and small plates within a glowing gallery of relaxation designed by world-renowned artist Jorge Pardo. Outdoor terrace and fireplace seating available.